Celebrating 100 posts with some Blog Candy! Wow, this is my 100th post! I can’t believe I’ve hit that milestone. I’m going to celebrate! You have a chance to win some blog candy. How? Just post a comment and become a follower, if you’re not already. Get two entries if you post about this blog candy on your blog. Be sure to let me know by posting a link in the comments below. What will you receive? These two brand new, sweet stamp sets are worth $26.95 CAN each. Chillin’ is perfect for those Christmas cards that I’m sure you’ll be working on soon. Use Summertime for all those seasonal photos you’ve just taken. Help me reach my goal of 100 followers (I’m only 15 away!) and I may just give away more goodies! This post will stay at the top until August 31 and I will draw a name on September 3rd. Scroll down for more Christmas Cards! 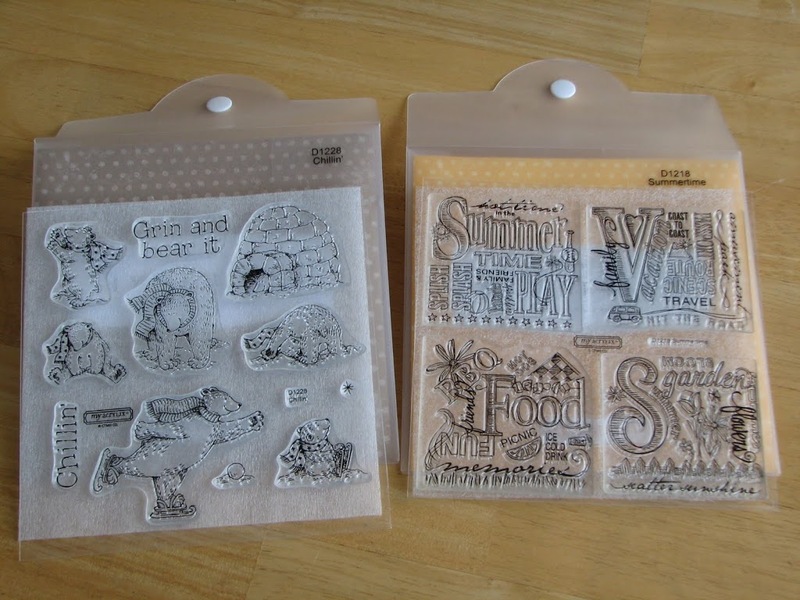 Cute stamp sets – what a generous giveaway! Congratulations on reaching 100 posts. I have a long way to go before reaching that number…hehe! Congrats Krista! I’ve been reading your blog for a while but wasn’t a follower, but I am now. What a great giveaway. Congratulations on all your followers Krista! 100 posts! That’s great, I can’t wait to hit that milestone on my blog! I love your blog, keep up the great work. I will be sharing this on my blog! Congratulations on 100 posts – I am now a follower of your blog. This is my first visit and I am inspired by your work. Congrats on 100 postings! !